The Maria’s Breasts dive site at Maria La Gorda is named after the conspicuous shape of two rock formations that jut out to sea from the coastline. The dive site is located just in line with these dual rock incursions. Sandy channels meander their way around large size coral covered rock formations and are the most prominent features of this dive site. An excellent (and colorful) variety of coral can be found at the Tetas de María site including; flower, leaf, brain and lettuce. Soft corals are also plentiful. Clown, snappers, angelfish, jacks and groupers are prominent in this area. Probably the most ideal dive site for beginners at Maria La Gorda, its name is derived from the giant two ton eighteen-century anchor protruding from the seabed. The anchor sits against coral promontories and is covered with crustaceans and petrified coral. Sponges and gorgonians are a common sight at the Pirate Anchor and you are likely to see snappers, bass, wrasse, jacks, angel and squirrelfish. The Lost Paradise dive site offers both an impressive array of coral and fish in a relatively compact area which is truly delightful. Divers will be awestruck by the huge sea lettuce and flower corals together with gigantic sea fans, whips and rods, surrounded by vast basket stars (Crinoids) and large yellow tubular sponges (Aplysina fistularis). The density of sponges and fans increases as you move closer to the coral reef wall, which begins at the depth of 30 meters and reveals a great deal of spectacular marine life. The wall has numerous interesting holes and crevices to explore offering shelter to a variety of fish and invertebrate species. Ascending along the wall to the higher marine terrace, divers will find nicely spaced shallower regions meandering through sandy channels. It is common to see shoals of blue trumpetfish as well as angelfish, groupers, snappers and surgeons. Maria La Gorda dive center has no less than 50 world-class dive sites while, another 50 splendid locations are largely left unvisited. The beauty of Maria La Gorda is that all of them are less than an hour motorboat ride from the marina jetty, while most are just 5 minutes away from the resort, literally within swimming distance. Maria La Gorda has an all-year-round Diving season offering over 40m normal visibility and average water temperatures of the 24°-30°C depending on the time of year, the coldest months being from Nov to Feb.
As with any international dive center of this scale and notoriety, a decompression-chamber and 24H manned clinic is reachable within minutes by the emergency helicopter located near the resort. The most popular dive sites are listed to the right. Are you looking for cheap flights to Cuba? To visit Maria La Gorda you will fly into either Havana’s Jose Marti Airport and take a Rent a Car in Havana or alternatively Pinar del Rio Airport. 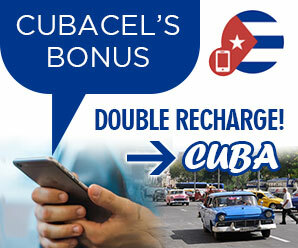 Immediate confirmation of your flight to Havana Cuba is just 2 clicks away. We also offer a price comparison of all available airlines to Cuba and Havana to allow you to get the best flight deals to Cuba right now. Our Cuba flight checker is free and can help you plan your vacation budget.